Who can qualify in Utah for a sales tax exemption on utilities? A Utah manufacturer or an industrial processor can qualify for a sales tax exemption on utilities. If the predominate usage requirements are met, purchases of electric, natural gas, and/or water will be tax exempt. Upon exemption approval, the sales tax will be removed from the respective utility bill. The predominate usage study is described in more detail below. How can one obtain the sales tax exemption on utilities in Utah? A Utah company must file the special utility sales tax exemption form TC 721 with the utility company. When the certificate and study are approved, the utility company will mark the meter exempt and no sales tax will be charged. No. Utah doesn’t require that a professional perform the utility study; however typically the utility study is completed and certified by a professional. Since the exemption relies on the utility study to determine exemption qualification, a proper study is required. In Utah a predominate usage study is required and must accompany the utility sales tax exemption certificate for it to be valid and approved. Predominate usage requires that more than 50% of the consumption of any electric, gas, or water meter is used for direct production of tangible personal property. The predominate usage study must list every piece of equipment and appliance that uses the utility in production, and the individual annual consumption must be listed for each one. In addition, every appliance or device that uses the utility but is classified as non-production must be listed also, along with the individual annual consumption. It is from this study the determination is made whether or not the requirement is met, and therefore deemed taxable or exempt. 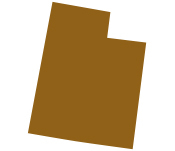 What is the scope of work of a professional providing the Utility sales tax exemption work in Utah? Predominate Usage Study: The study is completed by On Your Mark. Qualified engineers are on staff. On Your Mark charges no fees for the study and evaluation. When the savings is approved, then On Your Mark bills for its share of agreed savings. Claim for refund for sales tax paid on exempt meter. If a refund is available in prior years for sales tax paid on a meter later deemed exempt, On Your Mark will file the refund claim. The period may be as great as 236 months. Minimize time and frustration: Completing the study is time consuming and laborious. Most companies choose to avoid the wasted time and frustration to contract with a professional. The accuracy of study is important to get approval, and to avoid liability by the person certifying the study.. Risk-free Method to Obtain the Utility Sales Tax Exemption – in the shortest amount of time: On Your Mark does not charge for the predominate usage evaluation or its evaluation.When savings are approved, then On Your Mark charges a fee for the agreed upon share of the savings. On Your Mark typically has the Texas Sales Tax Exemption Certificate on Utilities filed within 30 days.